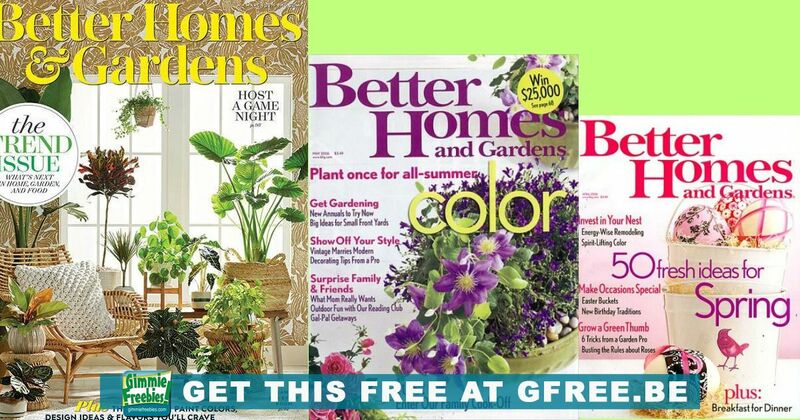 Better Homes and Gardens has home improvement and decorating ideas for your home and garden. Compare to the $48.00 cover price at Amazon! And get another free year – click here! – be sure to use the exact same name and address so you get an extended subscription instead of two magazines every month. Every issue of Better Homes and Gardens is chock full of decorating advice that helps you make a home where family and friends love to linger, provides do-able and affordable ideas to turn every room in your house into a loving reflection of yourself, and gives you green-thumb know-how to surround yourself in a garden that’s your retreat plus all those delicious quick-fixing recipes that update the comfort foods our families long for.